PARIS (AP) — Traveling from across the world to monuments honoring soldiers who fell 100 years ago, victors and vanquished alike marked those sacrifices Saturday ahead of Armistice Day and assessed alliances that have been redrawn dramatically since the dark days of World War I. VIDEO: In commemorating the dead of World War I, the leaders of France and Germany sent a powerful message of peace. 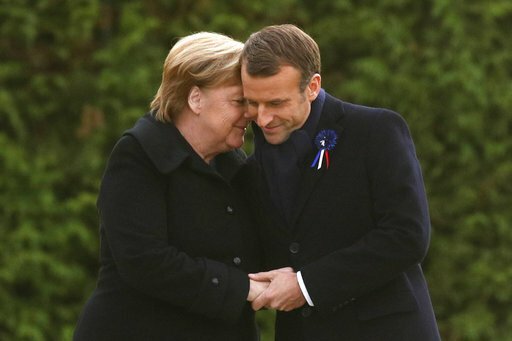 Macron's Twitter account made a point of tweeting a photo of him with Merkel, with the word, "United."